Last updated by admin at March 8, 2013 . 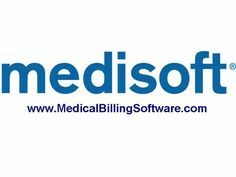 Medisoft Office Hours Professional Scheduling Appointments How To Schedule Medical Appointments For Doctors, Physical Therapy Appointments, Mental Health Appointments. You should now have the ability to quickly and easily search for time slots for you to schedule your appointments. From here, the process for actually scheduling the appointments is simple. Simply double-click the time slot you wish to schedule the appointment for. It is important to note that if the time slot is governed by a template, you will see the template reasons listed along the left hand side of the screen. Once you have double-clicked the appropriate time slot, the New Appointment Entry screen will appear. We will now discuss the different options you have on this screen. Chart Number: The Chart Number field refers to the chart number for the patient for whom you are scheduling the appointment. It is important to note that not all appointments are for existing patients. There will be circumstances where there is not an existing chart number. Because of this, the Chart Number field is NOT a required field. If you do not enter your appointment using the patient chart number, certain functions such as Enter Copay will not be available to you. Additionally, the appointment will not be displayed on lists of appointments for that patient throughout both the Medisoft and Office Hours programs. If the chart number does not exist, but you wish to set one up at that time, you can simply press the [F8] button. This will open a patient entry screen, and allow you to create a new patient record. If you select a patient chart number, and need to change some information in that patient’s record, you can press the [F9] button. This will open that patient’s record for editing. Any field within Medisoft or Office Hours that has the drop down view as well as the magnifying glass search button will have the [F8] New and [F9] Edit functionality. Name (no title): The Name field is the field to the right of the chart number and is a required field when entering a new appointment. If you do not have the chart number, simply enter the name of the patient into this field. If you entered the chart number, the Name field should have automatically populated with the name entered in the patient entry screen. Phone and Cell Phone: Similar to the Name field, the Phone number fields will automatically populate if the Chart Number is entered, and the phone numbers have been entered into that Patient’s record. These fields are not required; however, it is a good practice to utilize these fields. Resource: If your office is utilizing the resource scheduling capabilities of Office Hours, you would specify the resource being scheduled for this appointment in the Resource field. Again, resources would be used to schedule items such as exam rooms, x-ray machines, etc. Anything in the office that requires exclusive use. Note: The Note field is used to give any special information that might be needed for that appointment. As it’s name states, it holds notes. Case: If you do not enter the Chart Number, the Case field will not be available for entry. Additionally, if you are using Office Hours Professional as a stand alone product, you will not have access to the case field. This field will default to the newest case entered into that patient’s account. If you have selected the appropriate program option, the pop-up note from the Allergies and Notes field of the case screen will appear once the case is selected. Similarly to the chart number, if the case number does not exist, but you wish to set one up at that time, you can simply press the [F8] button. This will open a case entry screen, and allow you to create a new patient case. If you select a patient case number, and need to change some information in that patient’s case, you can press the [F9] button. This will open that patient’s case for editing. Reason: The Reason field is not a required field. Here you will specify the reason for the appointment. These codes were previously set up during the configuration of Office Hours. If you are using a template, your reason code may default to the reason code associated with that template. If you are using templates, and the Reason code you enter is not listed as an appropriate reason for that time slot, the following warning screen will appear. Clicking Yes will indicate that you want to proceed with the scheduling. This effectively overrides the template. Clicking No will return you to the New Appointment Entry window. Length: If you have your reason codes and templates set up properly, the Length field will default to the length set up in the Reason code. If you need to change the length of this appointment, you can manually do so. If you are not utilizing reason codes or templates, you will need to specify the length of the appointment manually. The default value will take up one time slot or interval. As in the setup of Length fields in other places in the program, the length of your appointment should evenly match the intervals set up in Program Options. Color: Similar to the Length field, the color field will default based on a properly set up reason code and template. If you are not using reason codes or templates, this field will default to the default appointment color set in program options. Date and Time: The Date and Time fields will default to the date and time assigned to the time slot you selected. You do have the ability to manually change these values. When creating a new appointment, we recommend that you do not manually change these values. You do not necessarily know whether the time slot you are assigning is taken or not. Provider: Similar to the other fields on this screen, the provider field will default to the provider whose schedule was selected on the grid. This can be changed manually, but we do not recommend that you do this for the same reasons listed in the Date and Time section. Repeat: If you wish to schedule a repeating appointment, you can do so by clicking the Change button. For information on the Repeating settings, refer to the Repeating Appointment Handout. Need Referral: If the patient needs a referral in order to see this provider, check this box. This will allow you to print a list of your appointments that need referrals, and allow you to follow up on those prior to the patient coming in to the office. Status: This feature is only available in Office Hours Professional. The default appointment status is Unconfirmed. The rest of the options are utilized after an appointment has already been saved. See the Appointment Status Worksheet for information. Once you have entered all applicable information, click Save. You have now successfully entered a new appointment. There are a number of warning fields in the appointment screen that are hidden unless they are triggered by certain events. These alerts are only available in the Office Hours Professional version. Account Alerts: These are the same account alerts that are visible in other parts of Medisoft, including Transaction Entry. For these alerts to be visible they must be turned on from within the Medisoft Program Options. Patient Has Future Appointment: You will get this warning if you create a new appointment for a patient that already has an appointment scheduled in the future. If you click on the magnifying glass then the Scheduled Appointments screen appears and will show all future appointments for that patient. You have the ability to modify or edit any appointment at any point in time. In order to do so, simply double-click on the appointment you wish to modify. This feature is available in Office Hours Professional only. One reason you would want to edit an appointment is to change the appointment status. For more information on this process, refer to the Appointment Status Handout. One important item to note is that it is not necessary to open an appointment in order to change the status. You can simply right click on the appointment, and select the status you would like to assign. If you would like to change the status to Checked In (when the patient shows up for their appointment), you can also press the [F2] button. The appointment status report will only function properly if you go through the process of changing the appointment status codes as the patients are processed and seen. If you need to change the status of an appointment to Rescheduled, you can either right click on the appointment to choose Rescheduled, or double click on the appointment and change the status to Rescheduled there. You can then enter the date and time of the new appointment. Another way to reschedule an appointment is to put the appointment on the Wait list. To do this, right click on the appointment and select Add to Wait List. You will now have the ability to search for the date and time for the new appointment. The next available appointment slot for the date and time frame searched will appear on the schedule. Click Yes if this is an acceptable appointment time, or click Retry to search for another time slot. Clicking No will place the appointment back onto the wait list until another search is done again. The search will go 3 months forward from that date when performing the search. If you want choose not to use the search functionality, you can simply navigate to the new appointment date and time and then drag the appointment from the waiting list into the new time slot for the appointment. If you are following the process of changing the appointment status throughout the process of patient care, you will be able to print out the Appointment Status Report. In addition to the Appointment Status Report, modifying the appointment status will allow you to print the Appointment Analysis reports. These reports require that appointments within the given ranges have a status of Checked Out, and a total appointment time length of more than 1 minute. This means that the status codes should have been used throughout the appointment process. Simply changing the status to Checked Out will not cause this report to work. This report is used to analyze how much time is spent in each step of the process. It will track the time spent checked in, but before being seen. It will then track the time that the patients are being seen. This time period is ended when the status is changed to Checked Out. You will then be able to see how much time on average patients spent being seen, how much time on average was spent waiting, and how much total time patients spent in the office. In addition to the Appointment Status Report, and Appointment Analysis Reports, Office Hours offers various other reports that can help your office in different ways. These reports can be printed from the Reports menu. Appointment List: This report will give you a list of all appointments for a given date range and range of providers. You will see the time of the appointment, the name of the patient, the phone number, the length of the appointment, and any notes. This information will be given for each scheduled appointment that falls within the given ranges. This list can be used to make reminder calls. The Appointment List can be printed in one of two different ways – with or without blank appointments. This is helpful to practices who want to have more clear visibility to blank appointments in the daily schedule. These two schedules show the difference that this option makes on the same appointments for the same doctor on the same date. No Show Report: No Show reports are important to an office because they cost the office money. The time not spent seeing those patients who did not show up could have been spent seeing other patients. This report will give you the information for each appointment that was missed, as well as totals showing how many appointments were missed. In order for this report to function properly, you must be properly utilizing your appointment status options. Print Appointment Grid: The option to print the appointment grid will allow you to print a list of all appointments showing on the currently displayed view. This report can be printed in list format, which would be a format similar to the Appointment List. This report can also be printed in a Grid View. This option will show the entire schedule for the day, including any blank appointment slots. There are other reports available within Office Hours and Office Hours Professional. Please refer to the Help Files of these programs for more detailed information regarding these reports and the information available on them. Office Hours and Office Hours Professional are critical pieces in the patient billing process. Office Hours Professional offers you the ability to view patient balances, and enter patient copays. These features are only available when Office Hours Professional is utilized in conjunction with Medisoft. When a patient comes in for an appointment, it is generally a good practice to check on any outstanding balances. This would allow you the opportunity to collect on some or all of the outstanding balances. In order to quickly check the patient balance, you can right click on the patient’s appointment and choose Quick Balance or you can click the Balance button from within the appointment. You will then see the Quick Balance screen. This screen will show the remainder balance. The remainder balance shows the amount due on charges that have been paid by any insurance carrier that would be responsible for the charge. These totals are lumped together into a Remainder Balance. You have the ability to enter copays for the patient from within the Office Hours program. It is good practice to collect the copay amounts at the time the patients check in to the office. This prevents the loss of revenue due to unpaid or uncollected copay amounts. You have the ability to enter copays through either Transaction Entry or through the Deposit List. This decision was made when setting up your Program Options. If you would like to use transaction entry, place a check mark in the field labeled Use Transaction Entry to Make Copays. If you want to use the deposit list, do not place a check mark in this field. In most circumstances, at the time the copay is made, the services for which the patient is paying have not yet been performed. If you enter your copay into Transaction Entry, you will be asked to apply the payment right away, unless the payment code is marked as a prepayment. For this reason, we suggest entering your copayments through Office Hours Professional into the Deposit List. Once you have made your selection, you will be able to enter your copays from within Office Hours Professional. This can be done by opening the appointment and clicking the Enter Copay button. You can also right-click on the appointment, and click Enter Copay. Your screen will then open to either Transaction Entry, or the Deposit List. If you are applying your payments through the Deposit List, the following screen will appear. You will need to fill in the fields with the applicable payment information. For detailed information on these fields, refer to the chapter discussing Payment Entry. As you can see, the Chart Number field will automatically populate with the chart number entered in Appointment Entry. If the appointment was not entered using a chart number, this feature will not be available for that appointment. Print Receipt: The Print Receipt field will only appear if you are applying payments through Office Hours Professional. If this field is checked the program will print a simple receipt that shows the copay was made. This receipt format cannot be modified or changed, and will only include the copay that was entered at that time. This receipt will print when the Save button is pressed. Once you have filled out all applicable fields, click Save. At the end of the day, or on the next day, you will need to go into your Deposit List and apply the payment to the charges. If you have selected the option to enter copays through transaction entry, the program will function differently when the Enter Copay option is selected. When this option is selected, Medisoft will open transaction entry to the Chart Number and Case Number that were entered in the appointment entry screen. If you have not entered a chart number or case number for an appointment, this feature will not be available for that appointment. When you enter your payment, you will need to make sure you use a code that has been set aside as a prepayment. The charges normally have not been entered at this point in the billing process. This will prevent you from applying the payment. If the payment was not set as a prepayment, you would not be able to save and exit the Transaction Entry screen. Medisoft Office Hours Professional View Appointment Calendar for Mental Health Appointments, Physician Scheduling, Surgery Scheduling, or Physical Therapy Scheduling. The Calendar within Office Hours (Standard) and Office Hours Professional functions in the exact same manner. You simply select the day you wish to view, and the schedule for that day is displayed. When Office Hours is first opened, it will default to today’s date (based on the system date). You have the ability to manually select the date by simply clicking on the date you wish to see. You can advance the Day, Week, Month, or Year by simply clicking the arrows next to those fields. As you are browsing the calendar, you may find that you want to quickly return to today’s date. This can be done by clicking the Edit menu and Go to Today, or by pressing [CTRL] – T. This option relates closely with our next appointment finding option, Go to Date. Within the Edit menu, you will see the option Go to Date. You can also press [CTRL] – [G] in order to access this feature. This feature lets you quickly browse to a specific date’s schedule. When you select this window, the following screen will appear. You have the ability to select the date from the drop down menu, or to specify the number of days, weeks, months, or years you wish to advance the schedule. Once you have made your selection, click Go. You will be taken to the corresponding date’s schedule. Superbills are also known as Routing Slips. This report will print one page per appointment scheduled. That page will include a listing of the diagnosis codes and procedure codes used by the office. The doctors take these sheets into the examination rooms with them, and indicate which diagnosis codes and procedure codes were performed during the visit. These sheets are then passed on to the billers, who use them to do the data entry into Medisoft. Because Superbills are used in conjunction with the billing process, this option is only available for those who are using Office Hours in conjunction with Medisoft. An office would generally print out the superbills for the day at the beginning of the day. Those sheets would then be inserted into the charts for the patients that will be seen that day, so they would be available for the doctor. Some practices have the need to accommodate walk-in appointments. Often these practices do not want to create a patient record in Medisoft until after the appointment. Since the Print Superbills report requires a patient chart to be in the appointment, there is a Blank Superbills report so you can simply select how many superbills you want to print. There is also an option in Program Options in Medisoft ; Data Entry Tab; to determine if you want “Serialized Superbills”. This means that Medisoft will print a unique serial number on each superbill or encounter form and you will only be able to input or enter charges or transactions based on the superbill number. If there is not a superbill printed, you cannot enter charges or transactions (except for payment posting). The Find Open Time method for scheduling appointments is a robust method of searching for open appointment time slots, and allowing you to easily schedule appointments for the found slots. This option is available by clicking the Edit menu and Find Open Time. You can also press [CTRL] – [F]. If you are using Office Hours (Standard), you will be able to search for an open time slot based solely on the length of the appointment, the day of the week, and the time range for the appointment. Those fields are all self explanatory. Some fields will only appear if searching while in the Multi Provider-Resource view. Reason: The Reason field will allow you to search for time slots that have been set aside for a specific reason. This process was completed during the Template setup. For example, if you have certain hours dedicated to new patients, this search field will find any open time slots that have a template set up with the reason code for new patients linked to them. You still have the ability to specify the time of day and day of the week, which would allow the person scheduling the appointment to accommodate requests from the patient. Search For: The Search For option allows you to search the schedules of multiple providers at the same time. Many group practices will see patients as a group. It doesn’t matter which doctor the patient sees. If you wish to utilize this option, you will need to perform your search from within the Multi-View screen. If you perform the search from within any of the other views, you will not have this option available to you. If you want to search for a slot for a single provider, select the Single field, and specify the provider whose schedule you wish to search. If you want to search the schedule for all the providers on the screen but do not want to search the schedule for the resources on the screen, select All Providers Viewed. If you want to search the schedule for all the Resources on the screen, but do not want to search the schedule for the providers on the screen, select All Resources Viewed. If you want to base your search on both the Providers on the screen and the Resources, select All Providers and Resources Viewed. Once you have entered your search criteria, press the Search button. You will return to the scheduler screen. The screen will begin scrolling through the dates, searching for an open time slot that fits the criteria you entered in your search routine. If none can be found, you will see a message similar to the one below. The search option will search the calendar starting at the date showing on the calendar at the time the search was initiated. Additionally, the search will only go 3 months forward from that date when performing the search. If you need to search for time slots further in the future than three months, you will need to be viewing the future date you wish to be the beginning date of your 3 month time span. If an open slot is found that fits the criteria, your cursor will be placed in that slot. If this slot does not work for the patient, you can click the Edit menu and Find Next Open Time. You can also press [CTRL] – [N]. This will move the cursor to the next slot that fits the criteria entered into the search window. This method for finding appointments is a very simple, automated way of finding time slots for various reasons, providers, and resources. It can, however be difficult if the patient is looking for appointments on specific dates. If the patient needs appointments for specific dates, you would be better off using the Calendar itself to find open time slots. Now that we have gone through the preliminary setup process for Office Hours and Office Hours Professional, we are now ready to schedule appointments. When scheduling appointments, there are a few different methods you can use in finding the time you wish to schedule the appointment for. We will outline the processes for each method, as well as the pros and cons for each method. Prior to scheduling an appointment, you will need to select the view that is most appropriate for your use. This is done by clicking the appropriate view button along the lower portion of the screen. The order of the icons is day, week, month, multi-view. As you can see, the day view allows you to view the schedule for a specific day for one specific provider. In order to change the provider, click the down arrow next to the provider field at the top of the screen and select the provider whose schedule you wish to see. The weekly view will show the schedule for one provider for the entire week. You cannot create multiple columns for each day. When looking at this view, if you have set up multiple appointments for the same provider, date, and time, those appointments will appear as conflicting appointments on the weekly view. This view can be helpful when looking for a time slot for a patient and that patient wants to be seen during a specific week. The monthly view will show the schedule for one provider for an entire month. Similar to the week view, you cannot set up multiple columns for each provider. Double-booked appointments will show as conflicting appointments. This view is useful to offices that are very busy, and need the ability to quickly scan a month period for any available appointment slots. It is important that you completely set up your schedule prior to actually scheduling appointments for patients. This process includes setting up your breaks. Breaks can be configured using templates, or the Break List. If you schedule your breaks through the Template setup screen, you will be able to schedule appointments during your breaks if you so choose, and they will not appear as a conflicting appointment. If you set up your breaks using the Break List, you will notice that it is possible to schedule an appointment that conflicts with your break if you so choose, but you have less control over how that appointment appears on the schedule. If you decide to set up your breaks using templates, follow the process listed under templates to set up a repeating template with a reason code set up for breaks. If you have previously set up any breaks using the Break List, you will see those breaks listed on the screen. Click New. You will see the New Break Entry window. Name: If this break was the lunch break for a specific doctor, you would want to specify that information in the name of the break. Make the name as descriptive as possible, in order to avoid confusion when looking at the schedule. Date and Time: Similar to the Template setup, the Date and Time fields contain the STARTING dates and times for what is being scheduled. Length: The Length field should contain the number of minutes you would like to schedule for the break. This number should be an interval that corresponds with the scheduling intervals set in the Program Options. Repeat: Most breaks are going to be regularly occurring breaks. For this reason, you would want to set up most of your breaks as repeating breaks. Refer to the Repeating Appointment Handout for more information on how to configure the Repeating settings. Color: This field will let you specify what color you want this break to display on the schedule. This field will default to the value set in Program Options. All Columns: Office Hours and Office Hours Professional allow you to set up multiple columns for individual providers. This allows you to double-book time slots. Most breaks would prevent the doctor from seeing ANY patients. For this reason, you would want to place a check mark in this field. Providers: Any break can be configured for either specific providers, or all providers. Unless your doctors will all be following the exact same schedule, it is generally recommended that you set up individual breaks for each provider. Resource: You can schedule breaks for resources. However, it is not necessary to do so, since the use of the resource will generally require the presence of a provider. If you want to make sure that the break time is set aside for the resource as well, you can do so. Click on the provider names of the providers that will be utilizing this break. It is not necessary to hold down the [CTRL] button. Once finished, click OK. Your break will now appear on your Break List. Notice that if multiple providers were selected, the same break will appear in the list multiple times. It will appear once for each provider. Repeat this process until all desired breaks are scheduled. Templates are the method used for setting aside time slots for appointments with a certain reason. (Example: From 8 a.m. to 11:00 a.m. I want to only see new patients.) It can also be used to set aside certain parts of the day for breaks, meetings, and other similar purposes. If you properly utilize templates, you will be able to search your schedule for open time slots specific to a reason code. This feature is only included in Office Hours Professional. To set up a Template or multiple Templates, click the View menu and Edit Templates. You will see a screen that looks similar to your appointment scheduling screen. To set a template at a particular time, provider or resource, double click on that time slot. Template Reasons: You have the ability to assign up to 6 reason codes for any single period of time. When searching for open reason specific time slots, these are the reasons that will be taken into account. Description: The description field should contain an overall description of how your time will be spent during that portion of the day. Provider: Each template is linked to no more than one Provider. This means that if you have an overall template that you wish to apply to every provider within your practice, you must set up identical templates for each provider. You are not, however, forced to do so. This allows each provider to determine how his or her time will be spent during any given day. The provider field is NOT required, as you may want a template to apply exclusively to a resource. Resource: The resource field functions similar to the Provider field. If you enter both a resource and a provider, the template will be applied to the schedule of both. Date and Time: The Date and Time fields indicate the STARTING date and time. If you utilize the Repeat option, the template will start on the date and time specified. The end date will be specified in the repeat options. Length: The length field will specify in numbers of minutes how long the template will occupy. The number of minutes should be an interval that matches the appointment intervals set up in the program options. Color: This field will let you specify the color these time slots will display when no appointments are scheduled. Once an appointment is scheduled, the color set for that appointment will be the color displayed on the schedule. If you would like the template to repeat for future dates, click the Change button at the bottom of the window. Refer to the Repeating Appointment Worksheet for information on the repeating options. Templates can be used to allow for different schedules for different doctors in the practice. If you set up a reason code for “Out of Office”, and then set that template for the hours of operation that a particular provider will be unavailable, it will enable you to prevent appointments from be scheduled for that provider at that time of day. Templates can be used to set up breaks and holidays as well. Once you have set up your template, click Save. You will then need to repeat this process until all desired templates have been created. After configuring all desired templates, you will need to exit the Template Edit view. This is done by clicking the View menu and Edit Templates. You will be returned to your appointment view screen. You should now see the color coding that was applied through your template setup. Your templates are going to affect ALL of the views that are available within Office Hours Professional. It is not necessary to set up different templates for different views.